The SOUL Stroll - what is it? Why combine mantras with movement. >> According to the laws of Physics: no two things can occupy the same space at the same time. So you can’t be thinking negative and positive things at the same time. Movement in your body creating movement in your life. Getting out of our heads and into our bodies - what does that mean? What you can do right now to start. “I”m a magnet for success and I attract the very best.” E.S. 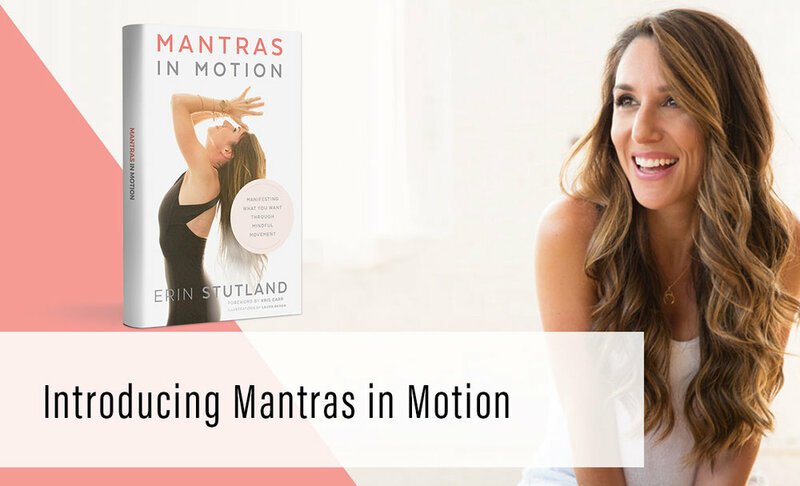 Erin Stutland is a renowned mind-body wellness and fitness expert. She is the host and lifestyle coach of Z Living’s cable series, Altar’d. Nominated for a Real Screen award alongside Oprah’s Super Soul Sunday, the show recently completed its second season. She has built a multi-platform brand that reaches over 70,000 people in 155 countries around the world. Stutland is the creator of several mind-body fitness programs including her signature Shrink Session workout and Soul Strolls and has appeared on The Rachael Ray Show, People.com, Fox News, Glamour Magazine and more. Erin is passionate about teaching you how simple movement in your body can create dramatic movement in your life. She lives in Brooklyn, NY with her husband Lance and daughter, Kwynn. In Episode #41 on The Jen Mavros Show we unpack....MONEY BLOCKS, with the incredible money block expert, Sherina Mayani. During our conversation, Sherina brings us up to speed with WHAT money blocks are and shares a powerful question, we should all be asking ourselves, to identify whether YOU have any money blocks. A compelling question that I believe, EVERYONE should be asking themselves daily!! "Money is movement. Money is energy being moved. Use money, love people." Sherina Mayani is a Business Master Coach who helps women around the world clear their blocks, upgrade their mindset, attract ideal clients and earn consistent money so they can grow a coaching business that sets them free. A bite-sized convo with some deeply profound nuggets of gold. Sherina is also a Divine Living Certified Master Coach and an Energy Editing® Professional who helps clear energetic money blocks from your energy system. She is bilingual and speaks fluent Spanish and English. All of her coaching programs are available in both languages.